I love chatting with taxi drivers, whom I sometimes get into friendly arguments with, especially when they turn out to be Bongbong Marcos supporters. Their narratives are pretty much the same: life was better during the 70s and 80s. This is confusing for me, because I was taught that the Martial Law era was hell on earth. The stories they tell me are in total contrast with what I have learned in the history books. Having attended UP Diliman, I was taught that Martial Law was about human rights abuses and hordes upon hordes of Marcos cronies. 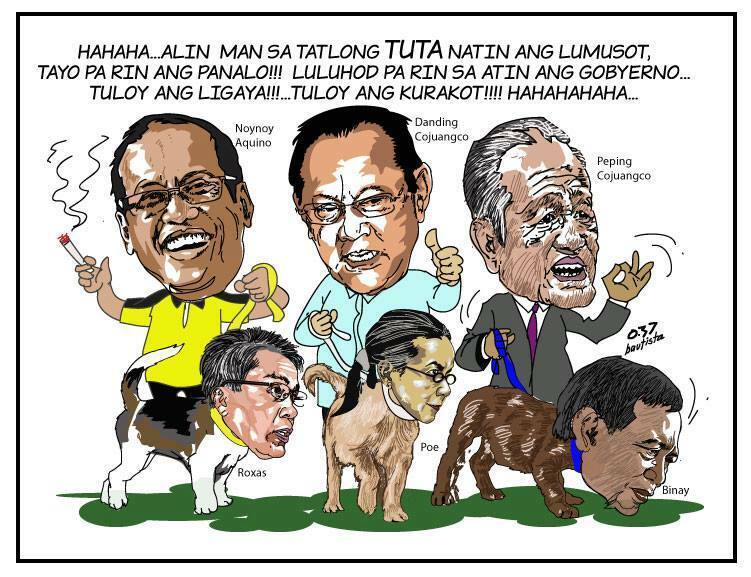 Heck, some of my professors were political prisoners back then, while those that managed to evade arrest seemingly had to tone down their work or thoroughly wrap them with metaphors, such as my funny, loveable and uber-intellectual Humanities professor, Domingo Landicho, who wrote “Bulaklak ng Maynila”. I despised the Martial Law regime my entire life, and that holds true up to now. This is the same reason why I never supported Grace Poe, whose campaign was supported largely by Danding Cojuangco, a Marcos crony [TP: Grace Poe]. Picture this: if ThinkingPinoy were started in November 1975 instead of November 2015, TP’s blog would have lasted a week at best. Back then, popular magazines were mostly about aristocratic weddings in five-star hotels [Inquirer], while incendiary politically-charged literature were best kept unpublished [Manila Times]. However, unlike many people I know, I am not into intellectual snobbery. I don’t even consider myself to be an intellectual anyway: I would like to believe that I just happen to bea pedestrian with lots of common sense and a decent internet connection. Hence, I thought long and hard about the reason behind the proliferation of the Martial-Law-Days-were-better story, about the reason behind the chasm that separates my teachers’ version of the story, and the taxi drivers’. After all, at least a hundred of my Facebook friends are wondering the same thing. 2: What Marcos Era are we talking about? Here’s the typical profile the typical taxi driver I meet: Male in his late 30’s to late 40’s, son of a subsistence farmer or manual laborer, went to public schools, earns about Php 1000 a day, married and has two to three kids, of which one or two are in college. As to why I know that, let me tell you that Metro Manila traffic is so bad you’ll be privy to a taxi driver’s innermost secrets by the time you arrive at your destination. First, he was about 10 to 20 years old when EDSA 1986 happened, given his age. Thus, he never really experienced Martial Law as an adult, as Martial Law was from 1972 to 1981. More likely than not, he was referring to the post-Ninoy assassination years (1983-1986) of the Marcos regime, preceding the First EDSA People Power Revolution [Gov]. Second, he earns just enough to make ends meet, given his salary and his college-age kid. He never experienced affluence on a level that allowed him to venture into intense mental labor. He is generally discontented with his life. He feels he deserves more. Third, he has not read a lot about martial law, except for a week or two’s worth of history lessons, because high school history classes are generally boring. Moreso for public schools, where teacher-to-student and book-per-student ratios are abysmal, to say the least. They were obviously too sleepy back then to have noticed images like this. With these said, I think it’s reasonable to conclude that he was not referring to the bloody late 70’s martial law, but the generally quality of life of the masses in the early to mid-1980s. After all, what does he care about the writ of habeas corpus when all he wants is food to feed his family and a roof over his and his kids’ heads? Let’s make sure that we are on the same page here. After all, the question mentioned above is tricky to answer, mainly because the standards that make life good is different for the intelligentsia and for mass society. 6. Self-transcendence [Maslow 1991], or the need for a higher goal, e.g. altruism (helping others) or spirituality. Marcos-era political prisoners and their sympathizers comprise the bulk of those who are perplexed with the Bongbong Marcos phenomenon, and this group includes me, ThinkingPinoy. So, with respect to the list above, what exactly am I looking for whenever I urge someone to hate the Marcoses? I think I have gotten past needs one to four and to some extent, have fulfilled the fifth. That is, after reasonably fulfilling needs one to five, I am now on the quest for self-transcendence, that’s why I have risked life and limb through the stuff I publish in this goddamned website, like the time I wrote about that Magdalo hacker [TP: Trillanes' Hacker]. 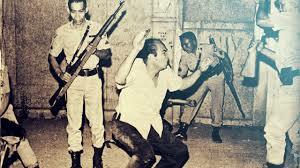 I have reason to believe that Marcos-era political prisoners and their sympathizers share the same situation. After all, they fight “ignorance” about Marcos Era abuses because they don’t want this country to suffer the same fate again, and that, to some extent, is altruism. But does this conclusion apply to taxi drivers, i.e. the masses? No. With the typical taxi driver as an example plus the three inferences that I made in the previous section, it is reasonable to further conclude that the masses, the same “Dutertards” that Carlos Celdran demonizes, are still struggling to fulfill the first five needs. Hence, we can’t expect mass society to even bother with self-actualization and self-transcendence. They will not bother to read books because they have tummies to fill and criminals to look out for. Most particularly, masses are more concerned about self-actualization than self-transcendence. They want to be the best they can be. Or more specifically, they want to feel that they are given the same opportunities as anybody else. What happens when that doesn't happen? Is today’s regular Filipino more discontented than a regular Filipino in 1985? Contentment is a relative term. For example, no 1995 teenager will complain about not having a cellphone. Meanwhile in 2015, even pre-pubescent children raid the Google Play Store for the latest android games. In short, the regular Filipino’s standards for contentment change over time, and it is based on what he sees around him. If he sees more people can buy phones, he wants to be able to buy a phone too. If he sees more people buying cars, he wants to be able to do the same. A college education, an overseas vacation, a house and lot, the list goes on. That is, at any given point, a regular Filipino expects to be able to do the same things his neighbor does. But how is discontent minimized? Through equitable distribution of wealth. After all, if every Juan shares the same income level, then any given Juan will be able to buy the same things bought by the Juan next door. Wala magkakainggitan kasi walang ikainggit. Yes, GDP has risen by leaps and bounds since 1985. Our leaders tell us we should be happy because GDP grows. In particular, the Aquino administration use GDP to justify it claims about the Philippines' economic success [TP: GMA vs PNoy]. From Php 2 trillion in 1985, GDP rose by over 250% to Php 7 trillion in 2014. However, is the regular Filipino 250% more contented after 30 years? However, it appears that since 1985, and even in the past 10 years, this newly-created wealth did not significantly trickle down at all, that income distribution has remained pretty much the same as, if not worse than, 1985 levels. Thus, I believe that a more accurate measure of mass discontentment is the GINI index. Looking at the table above, we can see that income inequality has actually increased by two points from 1985 to 2012. That is, mass discontent is higher in 2012 than in 1985. In particular, we can see the that richest 10% in 2016 hold a larger share of the country’s wealth than their 1985 counterparts, while the poorest 10% hold a smaller share of the country’s wealth than their 1985 counterparts. Yes, the reader may argue that the changes could be marginal, i.e. insignificant. With that taken into account, I can say that things have changed little, and whatever little change there was, it’s for the worse. SIDE NOTE: The Gini indices for 2000, 2009, and 2012, which are 46.17, 42.91, and 43.04, respectively. This implies that the much-demonized Gloria Macapagal-Arroyo managed to improve income distribution during her reign. Meanwhile Benigno Aquino managed to somehow worsen income distribution, albeit by a relatively negligible degree (0.13 from 2009 to 2012). Gini index data for 2015 is not yet available. To give a better perspective, income inequality in the US has gotten so bad that it gave birth to the Occupy Wall Street Movement [Occupy], where regular Americans are disgusted by the fact that 20% of the nation’s wealth is owned by only 1% of the population [Politifact]. 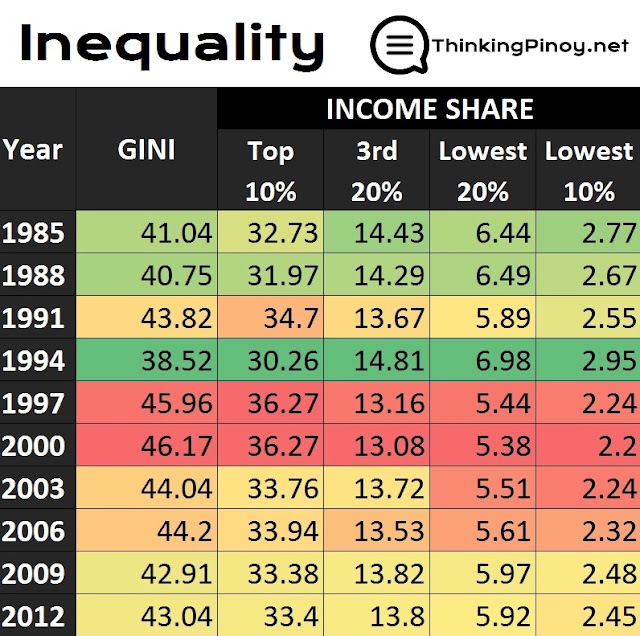 Now, with a GINI index that’s worse than the USA’s, just imagine how much of Philippine GDP our top 1% owns. Corazon Cojuangco Aquino led the country after the First EDSA Revolution. She was followed by Ramos, her anointed successor [Skard 2015]. Ramos was replaced by Estrada, with blessings from Danding Cojuangco [TP:Poe-Danding]. After that came Cojuangco-less Arroyo, but was soon replaced by another Cojuangco: Benigno Simeon. In a post-Martial law, mostly Cojuangco-led Philippines, the regular Filipino remains to be as discontented as he was thirty years ago. 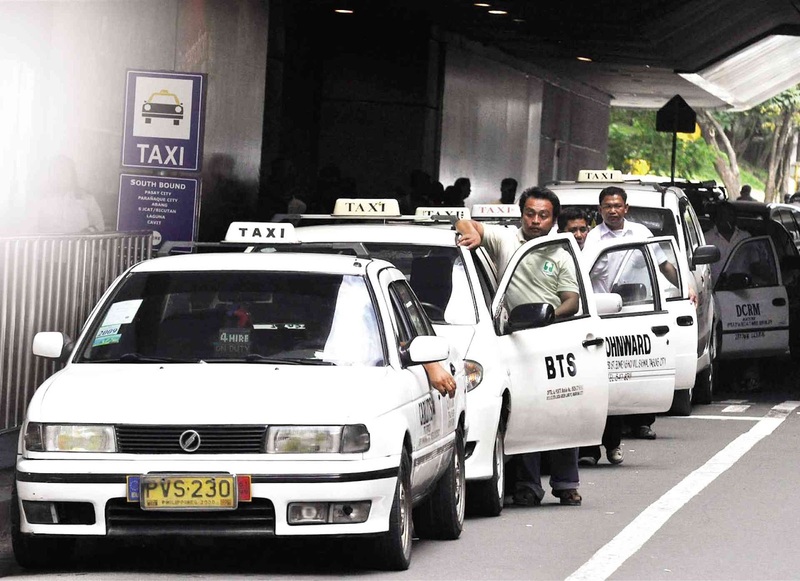 From the point of view of a taxi driver, nothing really changed. But the manong taxi driver is just like every regular Filipino: he wants a better life. Yes, the manong taxi driver may be unaware of the “real story” behind Martial Law, but PNoy and his relatives have made it clear that their antithesis, the exact opposite of Yellow leadership, is the Marcos Era. Blue and Orange are but shades of Yellow. Therein lies the fundamental problem: the taxi driver is sick of the status quo because it has been the status quo for as long as he can remember. He’s so desperate that he’s willing to exchange it for anything else, even if he does not fully understand what he wishes. This is the same reason why there has been a resurgence of Marcos apologists even before the election season began. The regular Filipino is so desperate for change that he will choose anything as long it’s not a Cojuangco, and it just so happens that the Cojuangco-Aquinos successfully painted the Marcoses as their polar opposites. The masses associate stagnation with the Cojuangco family, so the masses are likely to associate change with , whether good or bad, the antithetic Marcos family. Add the fact that Bongbong Marcos is a spitting image of his father makes the contrast even starker. Then, with this decision, the masses look for more ways to justify and reinforce their decisions via cognitive bias [Wilke 2012]. 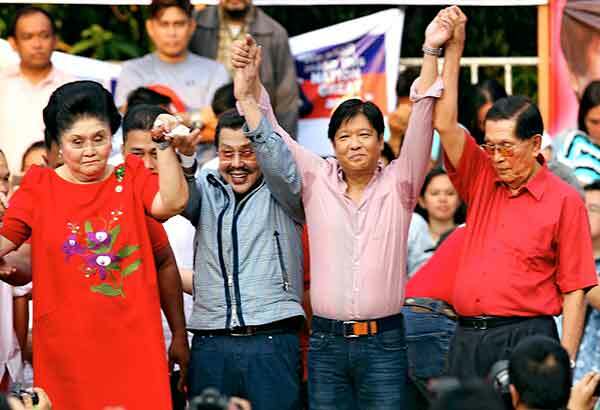 I still dislike Bongbong Marcos, but I am not hating his supporters.